Slice raw taters and line bottom of 9×13” pan. Combine sugar with spices. Sprinkle sugar mixture over taters(about 1/3 of mixture) and then place small dabs of butter over that. Repeat layers 2 more times. 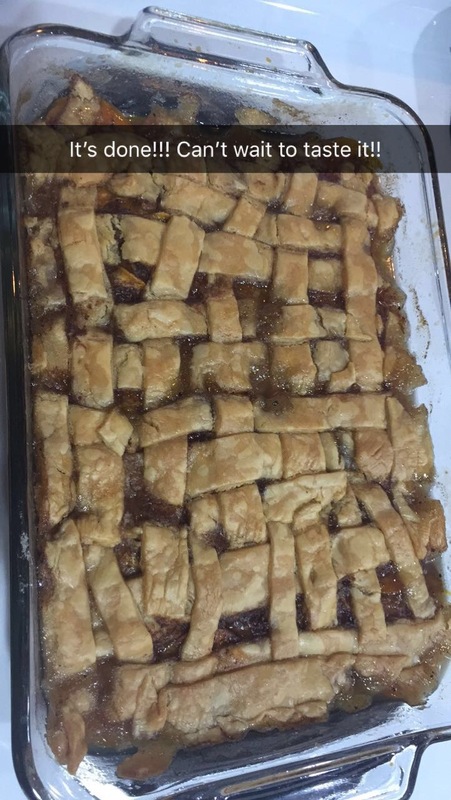 Cut pie crusts into strips, and lattice them. Pour water over mixture and bake at 350* for an hour, or until crust is golden brown. This is delicious!!! If you had to slice the sweet potato with a knife, that would take awhile. I think some vanilla ice cream would be great with this! Plug in and preheat your waffle iron. Spray the interior with nonstick spray. 2. Use the medium-holed side of a box grater to grate the potatoes. In a large bowl, toss the potatoes to combine. Add the butter and toss to combine. Season with salt and pepper. 3. Divide the mixture into 6 even portions. Mound a portion onto the heated waffle iron andthen spread it toward the edge to form an even layer. 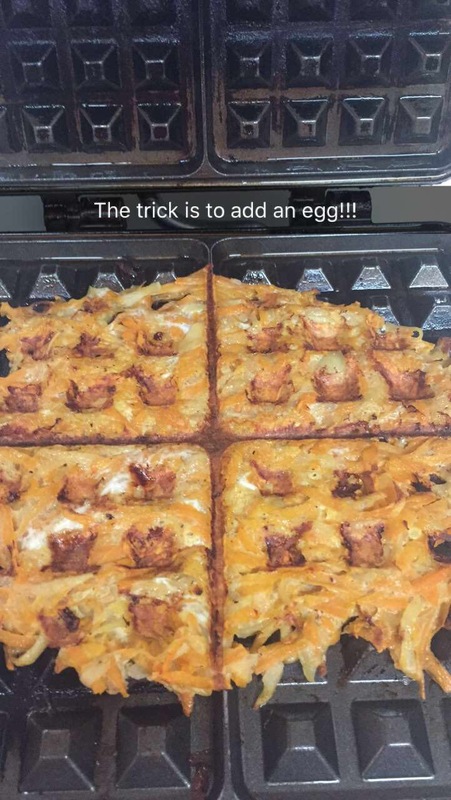 Close the waffle iron and cook on high heat for 4 to 5 minutes, until golden and crisp. 4. Repeat with the remaining potato mixture. Serve immediately (preferably with a side of eggs). Add 4 eggs to your mixture to get it to stick together better. Add cinnamon to your mixture and eat it with syrup.